A short biography of anarchist John Neve who was active in the workers' movements in Denmark, Belgium, England, and Germany where he died in prison. Frank Kitz in his obituary for Neve in Freedom. Max Nettlau. Obituary in Freedom. John Neve was born 12th April 1844 at Uelvesbuell near Eiserstadt in Scheswig, which at that time still belonged to Denmark. His father, Juergen, was a joiner, and he was apprenticed to him. He left home in 1863 and a year later was in London. In 1866 he moved to Paris and then in 1868 to the USA. He remained there, apart from a short return to Europe, until 1874. He returned to London and for the next 3 years was living in London and Paris. In summer 1877, some Germans in London, exasperated by the internal disputes within the Communistischer Arbeiter Bildungs Verein (Communist Workers’ Educational Society - CABV) set up a new Club at the initiative of Frank Kitz and others. (The CABV had printed the first edition of The Communist Manifesto and had split into several clubs under the same name after the splits within the Communist League and later between Lasalleans and Marx’s followers). Neve had an important role in organising the English section of this new Social Democratic Club in November of that year. The setting up of the Social Democratic Club led to Neve spending the next ten years in London, where he was one of the most serious and reliable activists in the movement. The founding of the club coincided with the stonemasons’ strike, which lasted from July 1877 to March 1878. As a result, the Club was reinforced. Its German and English sections met in Fitzrovia and established a working relationship with the CABV which led to the setting up of the United Federal Workmen’s League in November 1877. German blacklegs had been recruited during the stonemasons strike and Neve was the moving force in a stonemasons deputation to South Germany where most of them had come from. Agitation among the Germans already working was also carried out and both were to some degree successful. This led on to the eventual merging of the Social Democratic Club and the CABV and the acquisition of a building in Rose Street, Soho. Neve organised a big memorial meeting for the Paris Commune in March 1878, alongside Frank Kitz and Franz Josef Ehrhart. A second section was established in the East End. Both Neve and Ehrhart now became involved in organising support for the large numbers of Germans now arriving in London as the result of the Anti-Socialist Laws of Bismarck. Johann Most was among these, and he was encouraged by Neve and Ehrhart to take on the editorship of a paper based in London aimed at the German workers. Freiheit ("Freedom") appeared in 1879 and Neve was a member of its Press Committee. Neve was a driving force behind Freiheit. . He smuggled it into Austria by rolling hundreds of copies inside bamboo canes. Many articles from Freiheit were reproduced as leaflets and smuggled into Germany and Austria as well. Most of these had Neve’s name at the bottom. Neve rarely spoke publicly, although he was one of two chairs at a meeting to commemorate the 1848 Revolution and the Paris Commune in March 1881. Most was arrested and imprisoned for 16 months for expressing satisfaction about the assassination of Tsar Alexander in a front page article in Freiheit. Neve and Kitz organised a Freiheit Defence Committee immediately. Whilst Most languished in prison, Neve took on the editing of Freiheit as well as taking over Most’s role in organising of the International Social Revolutionary Congress to be held in London for July. Neve attended as delegate of the New York section of the Socialistic Labor Party and of the CABV. The Congress was attended by the likes of Peter Kropotkin, Cafiero, Merlino, Errico Malatesta and Herzig from Geneva. He was elected with Kropotkin and Merlino to the committee for the examination of mandates. He thought the Congress was too much of a talking shop and took little part in it. However he was elected onto its International Committee alongside Malatesta and which had been established to maintain international relations. Only a few leaflets were produced by this committee. The assassination of the Lord-Lieutenant of Ireland and his under-secretary in Phoenix Park in Dublin was remarked upon by Freiheit. As a result its offices were raided and its printer arrested. Neve as editor had to evade arrest and he hid at the homes of Kitz and Joseph Lane. He had to leave England, publishing the next issue of Freiheit from Paris. Freiheit was then published in two places in Switzerland. Neve remained in Paris over that summer except for his attendance at an anarchist conference in Berne, Switzerland, on 18th June 1882 and a few meetings in Zurich, as well as secret visits to Germany. Neve, like Most, was moving away from any faith in parliament or legalism, although again like Most, he did not yet call himself an anarchist and was influenced by the ideas of Blanquism. He left Paris at the end of October 1882 to organise revolutionary cells in Switzerland and Germany and the distribution of revolutionary literature. He was apprehended by the police in Vienna, but he refused to reveal who he really was and due to lack of proof was released after 8 months in prison. He was then deported and taken to the Bavarian border. He was then arrested 5 days later by the German police. He was sentenced to 6 months. On his release in June 1884, he went to Zurich and restarted his work on distributing Freiheit in Austria and Germany. He was assisted by the Hungarian anarchist Karl Halbedl and the Austrian anarchists Leo Waleck and Jakob Nowotny. But the Swiss government began to crack down on anarchists and he was expelled in December 1884. He returned to London, picking up his work with Freiheit and cooperating closely with Kitz and Lane. The CABV was riven with internal quarrels. Neve characteristically tried to stay out of these, although he tended to take the side of Most, whom he regarded as the best German-language propagandist. Neve helped Lane with his usual intensive propaganda on a local basis in London, meanwhile earning a living as a joiner. He tried on a number of occasions to reconcile the warring German factions but to no avail. 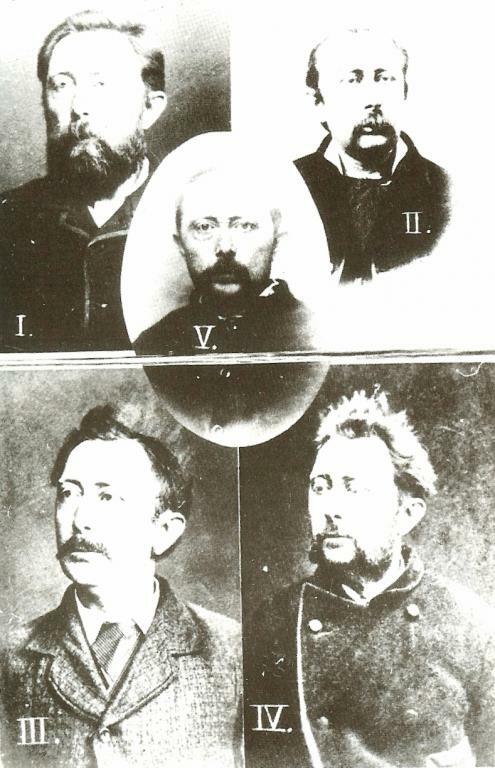 The anarchist communists led by Peukert and Otto Rinke fought bitterly with the collectivists, Blanquists and revolutionary social democrats whose main figurehead was Most. Bitter quarrels led to the secession of the Peukert group. Neve made sure the CABV continued but he was disgusted with the wrangling of the London movement. In Autumn 1885 he left England, moving to Verviers in Belgium. He then regularly went into Germany secretly smuggling Freiheit and Der Rebell (Peukert’s paper). The Belgian police began looking for him, but he eluded them and started taking more precautions. Circumstances became more and more difficult for the smuggling of literature. Despite Neve’s magnanimous efforts to reconcile the warring factions, the strife worsened. It was thanks to Peukert that Neve was finally arrested. Peukert, who seems to have been remarkably naïve, brought the informer Reuss along to a meeting Neve had arranged in Liege. Seeing Reuss, Peukert immediately left. A few weeks later he was arrested by the Belgian police for vagrancy and then handed over to the German authorities. He received a 15 year sentence at Leipzig. British anarchist Fred Charles made an attempt to have Neve freed, by traveling to Zurich for several months and to attempt to free him from prison, but his attempts failed and he had to return to England. He was put in the Halle prison and then transferred to Moabit prison in Berlin when he had a complete mental breakdown. Rumours circulated that he had been tortured and kept in strict solitary confinement. The awful treatment he received in prison led to his death of TB on 8th December 1896. The arrest and imprisonment of Neve intensified the strife within the German movement. Anarcho-syndicalist Rudolf Rocker thought that perhaps the competing tendencies might have become reconciled (Most after all moved from collectivism to anarchist communism) if not for the Neve affair. As Andrew R. Carlson says in his Anarchism in Germany Vol 1: “ Neve was loved and admired by all of the German-speaking anarchists and his loss to the movement, both as a worker and as a personal friend, was deeply felt by all. Perhaps this more than anything else explains the long period of bitter recriminations which followed his capture”. Eleanor Marx in tribute to Neve after his death, 1897.